The coolcept inverter topology was first implemented in the singlephase StecaGrid. It achieved optimum efficiency ratings thanks to the innovative switching concept. 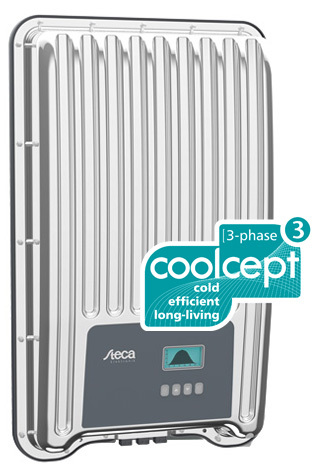 The three-phase coolcept³-x inverters also benefit from the advantages of this switching concept. The three-phase topology is fully reactive current capable and therefore set up to meet demands that may be made in future as well.